Home Agua Baklita Agua Bendita. comedy gay gay icon Humor humor posts icon laugh laughter LOL may nagtext TV series Vice Ganda When Vice Ganda Stars in 'Agua Bendita'! Have you ever wonder what would be the outcome if today's comedy icon Vice Ganda stars in the hit TV series "Agua Bendita"? Well, well, well here is the outcome! Definitely, the title will also be changed. It will gonna be "Agua Baklita"! Hahaha...! What do you think?! 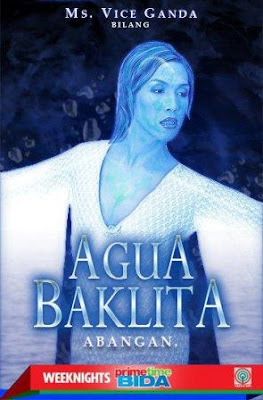 And I wonder, will Vice Ganda in his/her TV series be a half human half water creature? Hmmm...?! But one thing for sure, he's/she's definitely a half-half! A Half man and a half woman! Haha! And I'm also thinking if Agua has the ability to cure illness by her magical tears, what will be the special power of Agua Baklita?! Definitely he/she has a power since we all know, he/she is a 'power taker'! You will definitely loose strength if you're with Agua Baklita! Haha!